Sean Guistini, Ph.D, is the manager of Nunavut Arctic College Media in Iqaluit. 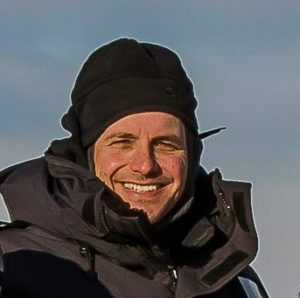 Sean’s work includes publishing books, producing films, and developing a digital archive relating to the Canadian Eastern Arctic, Arctic history, and Inuit culture and languages. Sean is excited to share with the C3 participants a diversity of resources to assist in providing Inuit and Arctic perspectives during the voyage legs in Nunavut.